Nerves can destroy you. When I sign up for a 5K races, I’m not really thinking about competition, I’m just there to run. Today, a mixture of competition and nerves ruined me. First, “open heat” does not equate to everyone and their sister. Open heat means if the cutoff for “elite” is 4:40.00, “open” runners run at approximately 4:41.00. Second, unlike my assumption that these runners would be in it just because their standard 5K wasn’t this weekend, these runners were hellbent on the mile and only the mile. Third, do yourself a favor, at least once in your life be the idiot that jumps out front first. Do it in order to get it out of your system. Today was my calling to this event. I ran…wait for it…a sub-55 second 400m to start the race. I led that crew like there was no tomorrow. Then my lungs caught on fire, my legs cramped, and the ‘nursing home special’ passed me. Needless to say, I suffered the next 1200m of that race. 1. Darco got a kick out of it and wants to witness more of these races. 2. Man, I flew in that first 400m and it wasn’t even in a sprint. After some food and rest. 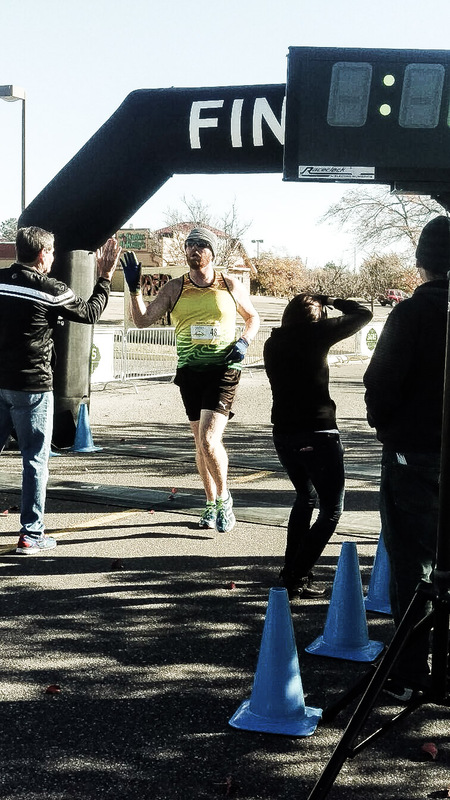 This entry was posted in Daily Events, Fitness, Running and tagged faith, Fitness, joy, mile, Running. Bookmark the permalink.